Lighting specialists, Utopium, transformed Bristol Zoo’s award winning gardens into a festive winter wonderland for its Enchanted Christmas 2013, December 18-20. 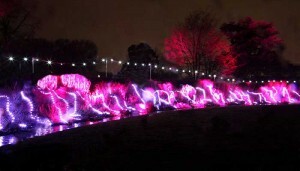 Working with the zoo’s events team for the first time, Utopium created an immersive visual spectacle illuminating the rich collection of plants and trees. 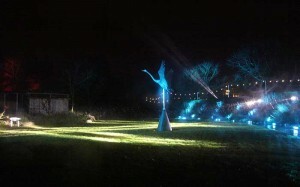 In the Herbaceous Border Utopium produced a truly magical experience installing a lightshow, which was controlled remotely and featured an array of festive-themed lighting that was time=coded to music. To create this stunning display, Utopium used mainly LED lights including James Thomas Pixel Par 90s, Chauvet ColoRADO Quad IPs, i-Pix BB4s, James Thomas Pixel Line 1044s and Chauvet 230 SR Beams. The team also utilised over 14 Universes of SGM LB-100 light balls to ensure audiences were wowed. The lighting fixtures were controlled using an Avolites Pearl Expert, with a second running on Avolites Titan Net for backup. Ben Knowles, project manager at Utopium, commented: "We built the audio track using REAPER software running a MIDI timecode and MADRIX software alongside Avolites Titan to allow for perfect harmony across all the control equipment." The festive evening indulged guests in everything Christmassy, from reindeers and carol singers to an abundance of delicious seasonal food along with a visit from the man himself, Santa Claus. "As a Bristol-based company, we were all very excited to sponsor such a fantastic event at one of Bristol’s most prestigious attractions," Ben Knowles continued. 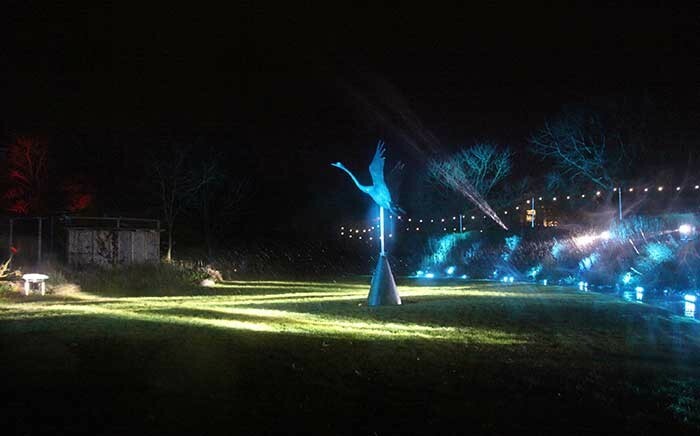 "We’ve spent the last few weeks in the studio programming the timecodes for the light show and it was great to see it all come alive against the backdrop of the gardens. We are looking forward to working with Bristol Zoo in the future and hope to build on our relationship."